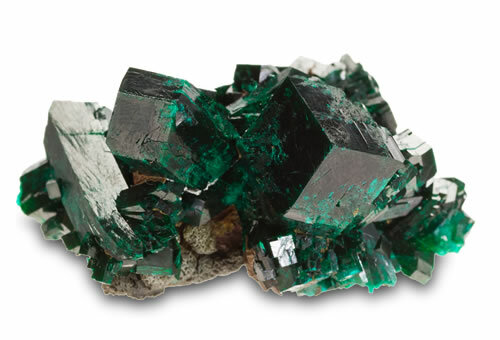 Dioptase is a bright emerald-green or blue-green gemstone noted for the visibility of internal cleavage planes. The transparent to translucent dioptase gemstone is uncommon and generally found in desert regions. Rivaling the beauty of emerald, dioptase is typically sold as specimens and gemstones are rarely seen, especially in sizes over 1 carat.